Personal surf lessons are custom made just for you. Beginners, Intermediate, or Advanced; we will guide you in an amazing, fun, and safe adventure. Whether it is the confidence to start surfing, or all the knowledge and information to reach the next step, you will have exclusive surf instruction on a 1 to 1 basis with your own personal male or female surf instructor. Our team of professional instructors is world recognized and they will give you all the special attention you need and deserve. You will feel safe, encouraged, surrounded by peace, and a positive atmosphere. *Personal lessons are held every day (including holidays), year-round at exclusive or convenient locations of your choice. Lessons last a minimum 2 hours. 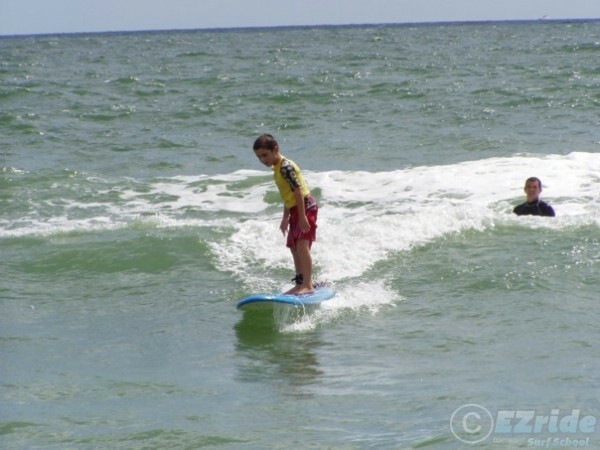 Five years old is the minimum age required, but the surf lessons are for any skill level. 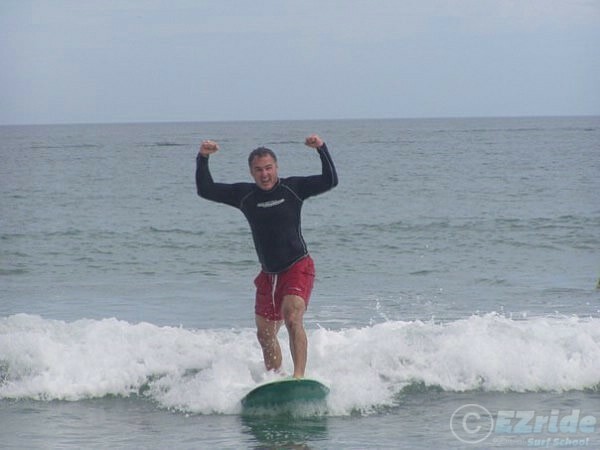 All equipment is provided by EZride Surf School. You can currently choose from three different languages: English, Spanish, and Portuguese. 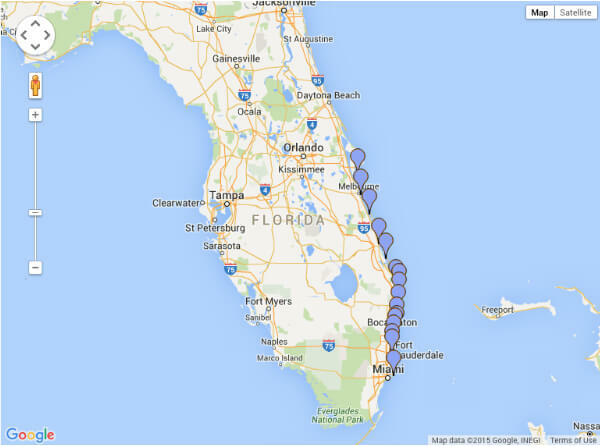 We serve Florida residents and vacationers. For price and any other information, we recommend you contact our office for your great deal and current surf school specials. We also recommend you visit our student pictures and reviews to see what they say about their amazing experience. This is your moment! Go surf today!